The European Accreditation – Fitness project led by Central YMCA Qualifications (CYQ) and funded by the European Commission provides a catalyst to the transfer of innovative accreditation and verification solutions for vocational education and training in the field of exercise and fitness qualifications across Europe. 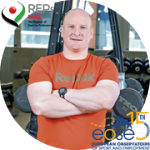 This project enables Health and Fitness training providers to be accredited against approved European standards thereby producing a large pool of exercise instructors registered in their own country via the European Register of Exercise Professionals (EREPs) and operating to common European competencies. 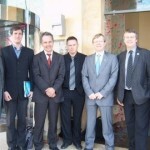 The EA-Fitness Final Conference was held on the 10 September 2010 in Brussels and was attended by 50 delegates from across Europe. The keynote speaker was Mrs Sophie Weisswange from the Directorate General – Education and Culture, European Commission who gave a presentation on the European Quality Assurance Reference Framework for Vocational Education and Training. EOSE was involved as active partner in that project and was responsible for conducting a survey on the situation, trends and perspectives in employment in the Fitness sector in 7 EU countries. The results of that survey were presented during the final event and a report is going to be finalised in the coming weeks.